For centuries, hospitals have served as a cornerstone of the U.S. health care system. During various touch points in life, Americans connect with a hospital during their most intimate and extraordinary circumstances. Most Americans are born in hospitals. Hospitals provide care after serious injuries and during episodes of severe sickness or disease. Hospitals are predominately where our loved ones go to die. Across the nation, hospitals have become embedded into the sacred fabric of communities. Despite a history of strength and stature in America, the hospital institution is in the midst of massive and disruptive change. Such change will be so transformational that by 2020, one in three hospitals will close or reorganize into an entirely different type of health care service provider. Several significant forces and factors are driving this inevitable and historical shift. First, America must bring down its crippling health care costs. The average American worker costs their employer $12,000 annually for health care benefits, and this figure is increasing more than 10 percent every year. U.S. businesses cannot compete in a globally competitive marketplace at this level of spending. Federal and state budgets are getting crushed by the costs of health care entitlement programs, such as Medicare and Medicaid. 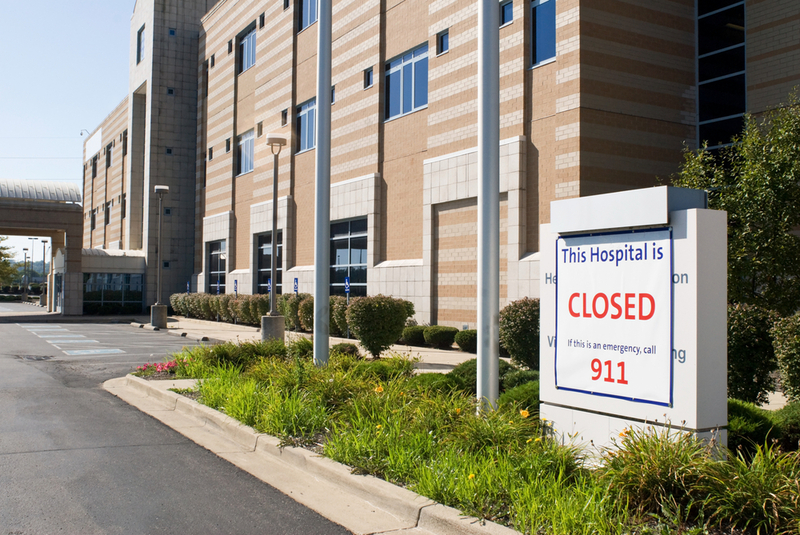 Given this cost problem, hospitals are vulnerable as they are generally regarded as the most expensive part of the delivery system for health care in America.